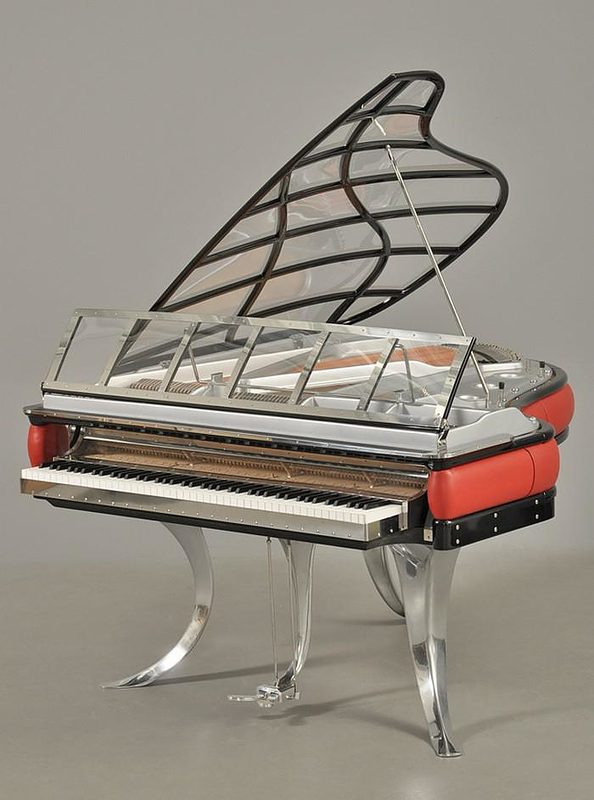 HomeBlogVariousPoul Henningsen Grand Piano, a true timeless design. The Magnificent Grand Paino by Poul Henningsen looks like it came from the distant future, yet it was designed in 1931, a true timeless design undeniably ahead of its time. Poul Henningsen is well known for his lighting designs, such as his iconic Artichoke Lamp. 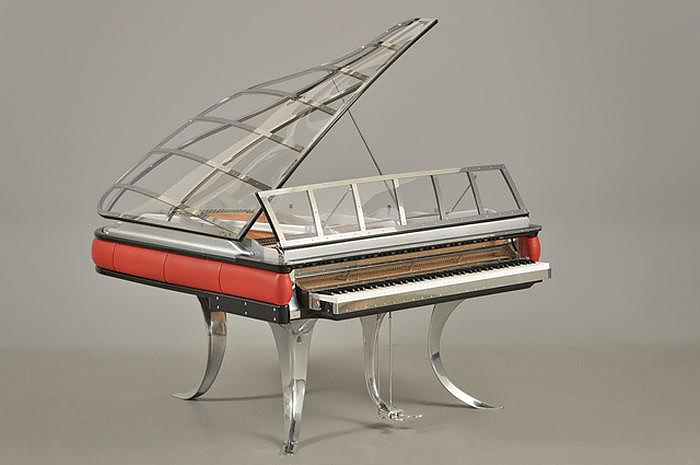 He designed this Piano in steel, aluminum, red leather and plexiglass, thus creating a unique design that stands out on its right as a piece of art. 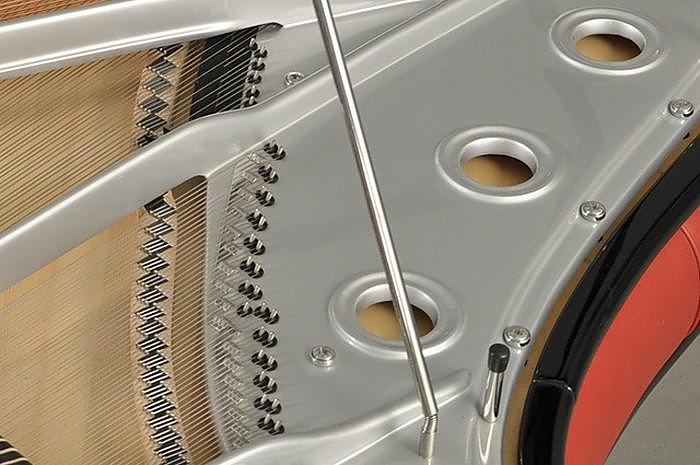 The impressive plexiglass lid unveils the complex mechanism of the piano, highlighting the beauty and precision of the inner workings of the instrument. 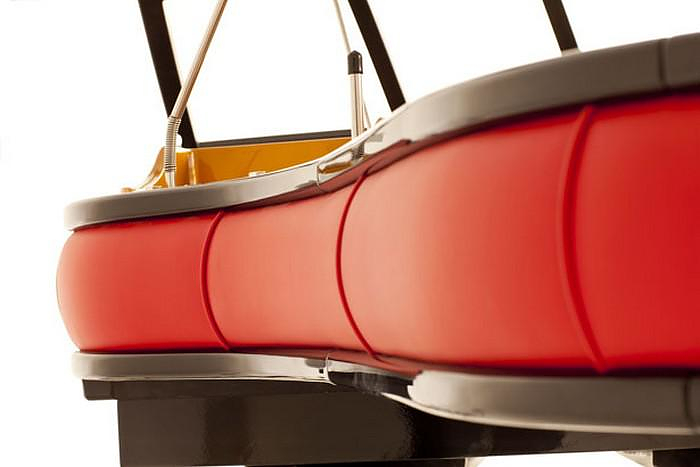 The curved metal legs and the bright red accent panel are the final touch to a truly grand design. The Poul Henningsen grand piano could easily blend in any modern environment without showing its age and will surely continue to do so for the years to come. The piano was commissioned by Danish Andreas Christensen manufacturing company who wanted a piano that is both functional and modern. It is said that Henningsen designed the piano after a conversation with famous Danish Jazz pianist Leo Mathiesen. 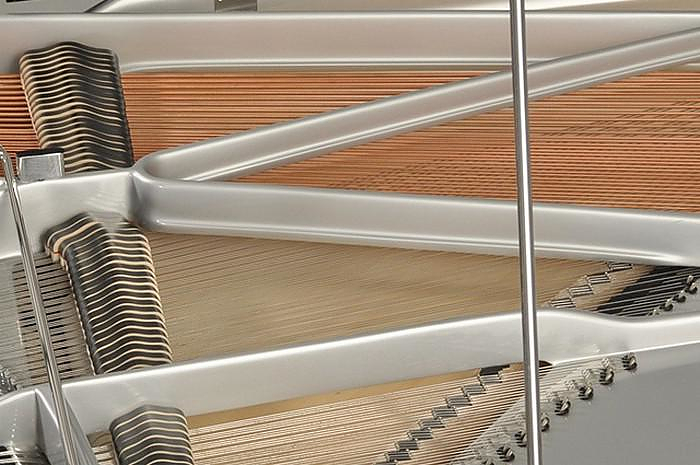 The pianist complained that the solid lid of his piano made it hard to see his bass player during performances, and the ingenious designer decided that instant that he has to solve this problem. Moreover Poul Henningsen wanted to break away from tradition and create a Piano which was more of a precision machine or an instrument and less of a piece of furniture. The design fulfills this purpose by using a number of carefully crafted metal parts and details, while the open-air cage design reminds give a futuristic allure. The original piece was made by Andreas Christensen manufacturing company until its production ceased. Just recently it has been reissued and is now made by German brand Blüthner. 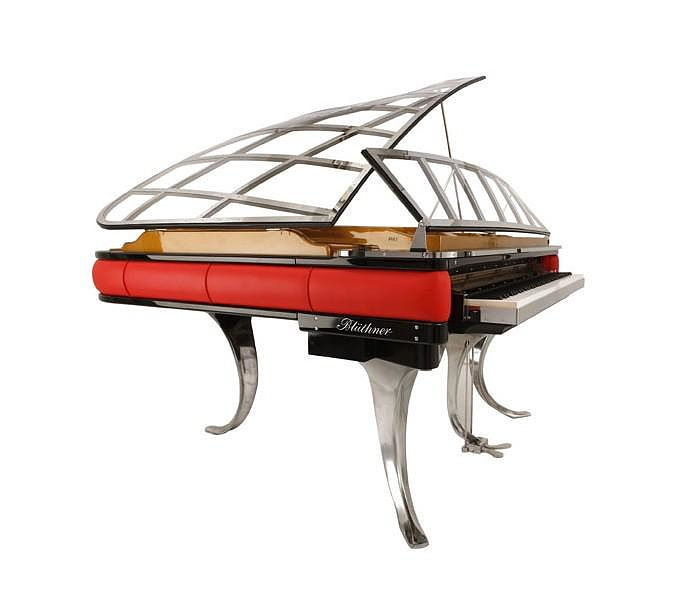 The Poul Henningsen Grand Piano is a timeless Scandinavian design icon.